Richard Just has been named the new editor of Atlantic Media’s National Journal magazine. Just will start March 10 and be based at the publication’s D.C. headquarters. 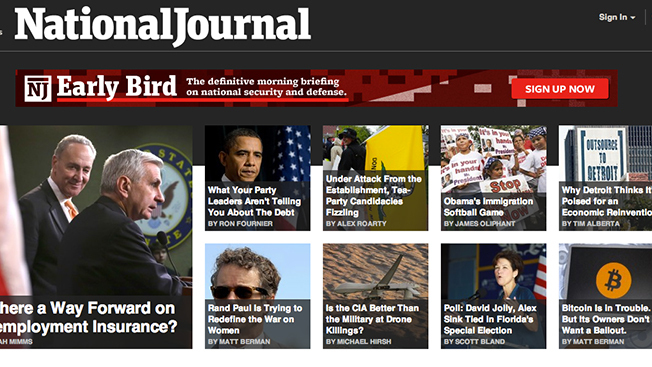 The announcement was made by Tim Grieve, National Journal's editor in chief. Just was most recently with Newsweek, where he was replaced amid the magazine’s most recent ownership change last summer. Before that, he was an editor of The New Republic, where he was, again, the casualty of an ownership change; he left in a newsroom shakeup after Facebook co-founder Chris Hughes bought the publication. At National Journal, he’ll be responsible for leading a redesign of the magazine for Beltway insiders and keeping it relevant in an increasingly crowded media market with the likes of Politico, Bloomberg ramping up their D.C. coverage. The website already got its revamp in October, resulting in significant traffic growth.